Allen West speaks with Cavuto on “Your World” March 18, 2013. Obama’s trip to Israel, Rove, CPAC and asked if he would run for POTUS if the people wanted him too. My bags are packed and I am ready to go! This is a brand new adventure. I am excited and scared all at the same time. What an opportunity to be in a place with like minded people. I have been overwhelmed by the outpouring of support I received to take on this new venture. I am humbled and honored to be able to go to CPAC 2013 and live blog the events. Remember to check back here during the day for live updates, photo’s and more. Look out Allen West and CPAC, Tanya is ready! In a message to supporters sent on Tuesday, West showed no sign of leaving the political stage. West also gave a sneak preview of his CPAC address, promising to reveal more of his PAC’s agenda. “When I give the opening keynote address at CPAC on Thursday, I will outline the Guardian Fund’s plans to double our efforts to expose and combat the Obama administration and its progressive plans,” West noted. CPAC 2013, Washington, D. C. NextGeneration.TV will be at CPAC 2013 covering key moments, speeches and interviews. 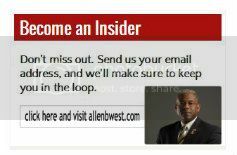 Our own Allen West will be the kick-off speaker at CPAC, so be sure to catch his keynote speech on our website. Also at CPAC, Allen West and Michelle Fields will be interviewing the politicians, pundits and young people about what matters most to America’s Next Generation. Next Generation April Conference. We are in the planning stages for our Next Gen Spring Conferences to be held during April, May, June and July in cities across the U.S. These live events will feature experts who illuminate issues facing America’s next generation as well as suggest viable solutions to those issues. Here are examples of the topics that we will zero in on: Next Gen Self Defense, Next Gen Economic and Financial Issues, K-12 Educational Issues, and Next Gen Business Start Ups. We will tackle one issue per event. As a Basic Member, you can catch what happens as our experts and audience explore these topics over four cities and four months. Come back to this page in March for the specifics of our April event. Next Generation May Conference. We are in the planning stages for our Next Gen Spring Conferences to be held during April, May, June and July in cities across the U.S. These live events will feature experts who illuminate issues facing America’s next generation as well as suggest viable solutions to those issues. Here are examples of the topics that we will zero in on: Next Gen Self Defense, Next Gen Economic and Financial Issues, K-12 Educational Issues, and Next Gen Business Start Ups. We will tackle one issue per event. As a Basic Member, you can catch what happens as our experts and audience explore these topics over four cities and four months. Come back to this page in April for the specifics of our May event. Next Generation June Conference. We are in the planning stages for our Next Gen Spring Conferences to be held during April, May, June and July in cities across the U.S. These live events will feature experts who illuminate issues facing America’s next generation as well as suggest viable solutions to those issues. Here are examples of the topics that we will zero in on: Next Gen Self Defense, Next Gen Economic and Financial Issues, K-12 Educational Issues, and Next Gen Business Start Ups. We will tackle one issue per event. As a Basic Member, you can catch what happens as our experts and audience explore these topics over four cities and four months. Come back to this page in May for the specifics of our June event. Next Generation July Conference. We are in the planning stages for our Next Gen Spring Conferences to be held during April, May, June and July in cities across the U.S. These live events will feature experts who illuminate issues facing America’s next generation as well as suggest viable solutions to those issues. Here are examples of the topics that we will zero in on: Next Gen Self Defense, Next Gen Economic and Financial Issues, K-12 Educational Issues, and Next Gen Business Start Ups. We will tackle one issue per event. As a Basic Member, you can catch what happen as our experts and audience explore these topics over four cities and four months. Come back to this page in June for the specifics of our July event. As a Basic Member of Next Generation, you can enjoy watching the live events they cover or produce throughout the year — right on their website. Click Here to become a Basic Member.